This was one hot episode! 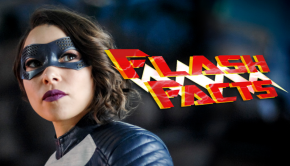 I was alredy looking forward to The Fury of Firestorm this week but after watching it, I can say that it was my favourite episode of the season so far but let’s cut this down to the key points, shall we? The inclusion of Jefferson ‘Jax’ Jackson as the Stein’s new partner is an odd choice, not because he’s a young black kid teaming with an old white guy but because he’s the wrong young black kid. Why is this character not Jason Rusch? 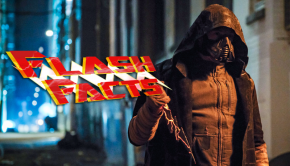 I’m legitimately asking because even though Jax is a character from the comics, I don’t think he was ever part of the Firestorm Matrix. Regardless, Franz Dremah (best known for his role as Dennis in Attack The Block) brings an inherent underdog charm to the character and I hope to see more of the relationship between Jax and Stein soon. So Iris has a half-brother, eh? A (presumably) black half-brother with the last name West? Considering the knowledge that we’ll be seeing a lot of speedsters show up this season, is it too much to assume that this will be Wally West? I hope so! Speaking of surprises, who knew Chekov’s Shark Teeth were a thing? The apperance of King Shark was a huge mark out moment for me! He looks great and while his appearance is super short, I can only hope we’ll get a legit fight soon but for now, Patty and Barry are saved by an all too familiar stranger. 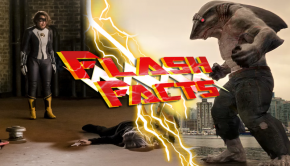 Harrison Wells makes his move, first skulking around STAR Labs and then taking down King Shark with some tech he stole from Mercury Labs earlier in the episode. 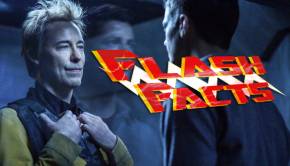 From next week’s promo, it appears that this isn’t Eobard Thawne but is the true Harrison Wells of Earth-2, here to help Team Flash stop Zoom. Why? Because he created Zoom. DUN DUN DUUUUUUUN! The Fury of Firestorm is a fantastic episode and I really had fun watching it. 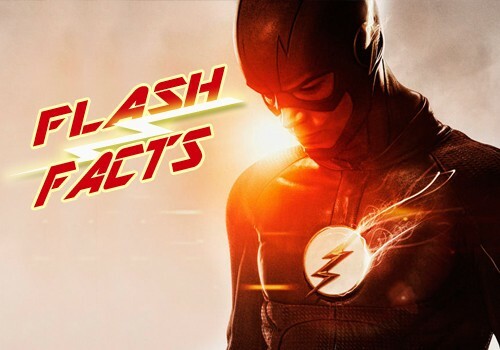 Just like my buddy Josh from CDX said, the Flash continues to get better and better every week. Let’s hope that streak continues next week when we see the The Darkness and The Light.